A couple of weeks ago, I was feeling a bit lost and confused about the state of my brand, Aroha Knits; notably, how to reconcile Aroha Knits and the Fibre Muse, two seemingly distinct identities. In early years of Aroha Knits, I was putting the Fibre Muse framework into practice without knowing it, but I was living it. When I started knitting and designing, I wanted to explore and connect with my heritage using knitting as a way to breathe new life into traditional Maori arts and crafts. Knitting (and by extension, designing) was a way for me to express values what was important to me: reconnecting and learning about my cultural heritage and using my finished works to express myself. My knitting at the time was a manifestation of both my Dreamer and Seeker Fibre Muses in action. 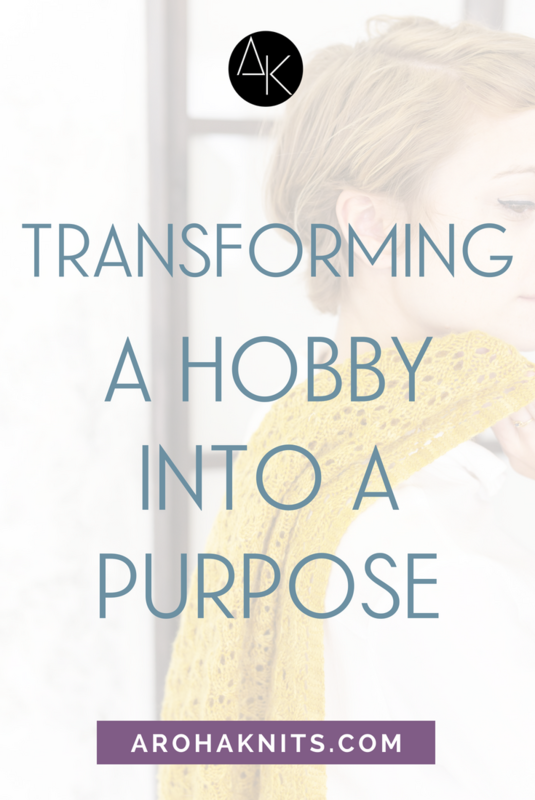 Because of my values, I was able to infuse my knitting with purpose. Why did I create the Fibre Muse Framework in the first place? What prompted me to do so? In learning how to brand our businesses, the first exercise that we have to do (if your branding expert knows their stuff) is answer the question, “Why do you do what you do?”. As in, “Why are you really doing this?”. I came across this question two-three years ago, and it has stuck with me ever since. 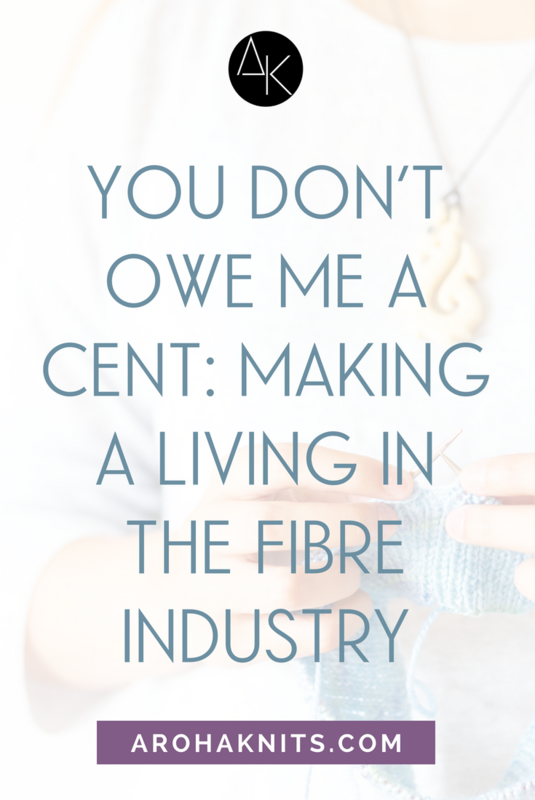 In fact, it’s become a foundation of the entire Fibre Muse brand. I’m practically obsessed with this question, I revisit it every few months or so, especially when I’m feeling empty and bored in my business (it happens! It’s normal). Returning to this question lights a fire within me and reminds me what my purpose is. What impact I want to have, using knitting as my tool of choice. How does the Fibre Muse Framework fit into this? I love knitting so much because it has given me a purpose in life (the self-discovery of my culture through knitting). I want to share this feeling that I’ve discovered with other people because it feels so darn good (through the Fibre Muse Framework and everything else under the Fibre Muse name). 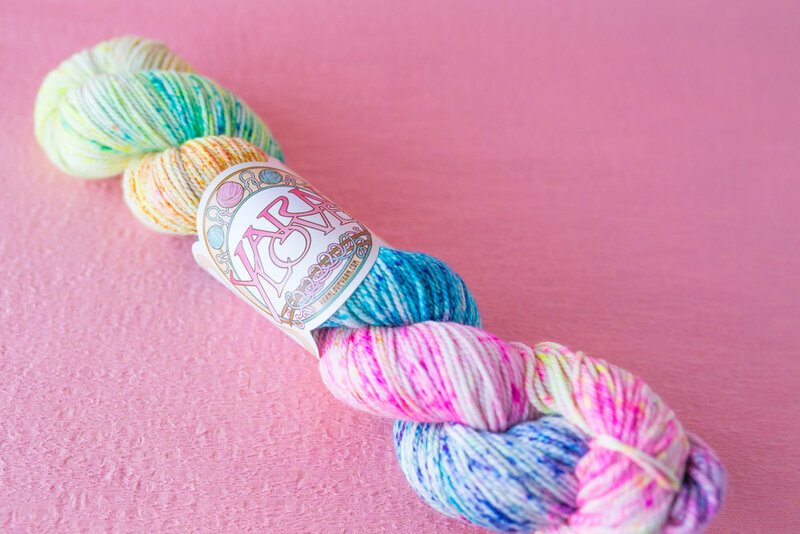 I light up when someone goes through the transformation process of, “Oh, I’m just a knitter” to “I’m a knitter with a purpose; knitting enables me to make a transformational impact.” Because I understand the emotions they are going through (it makes for a fuzzy and warm feeling). 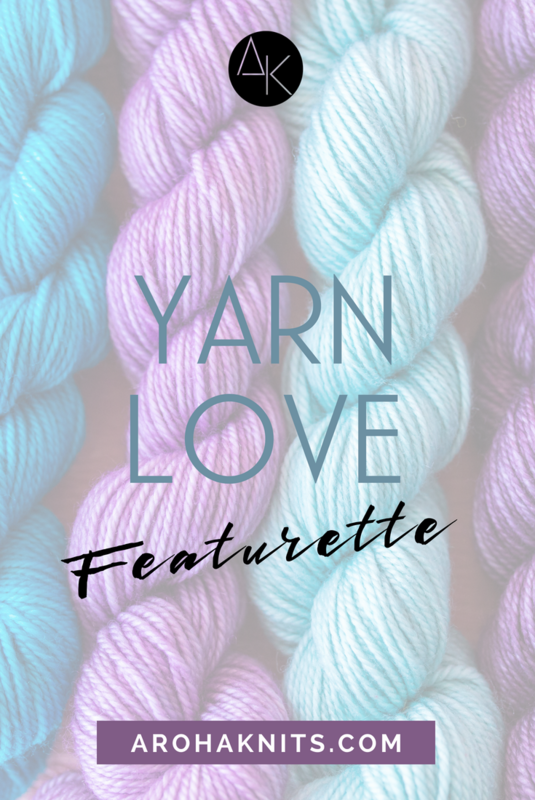 Also, by transforming a knitter’s outlook on their craft, to not just a hobby, but a mode to help actualize their purpose in life, the effects can be felt outside the fibre community. It could potentially shift society’s outlook on knitting from “Oh, that’s cute,” to “Wow, that’s amazing what you can do with sticks and string”. Each Muse has their purpose for knitting, and by extension, a set of values. I’ve updated the Fibre Muse Framework to now include these values. Note: because the Fibre Muses are archetypes, if you are a Mystic Fibre Muse but find yourself resonating with the Seeker values, that’s normal. The Fibre Muse Quiz identifies which Fibre Muse you resonate with most strongly at this point in time, but I believe that we should be integrating all parts of each Muse with our main one. We’re complicated humans, after all! 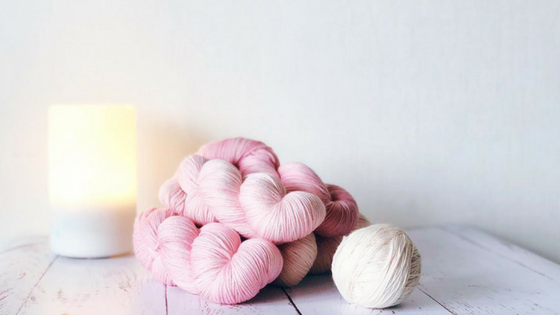 Now to the juice-y part of this blog post: how to create your own Aroha Knits, aka, knitting with purpose and intention for transformational impact. If you haven’t already done so, take the Fibre Muse Quiz to identify your Fibre Muse. Read the results, reflect on how this Muse shows up in your life. Maybe share your thoughts about it or journal it privately. Next, come back to this post and look at the values for your Fibre Muse. Select the top three that resonate with you the most. Then choose two values from the other three Muses. Example, the main Muse is Mystic. Values: inner harmony, calm, simplicity. 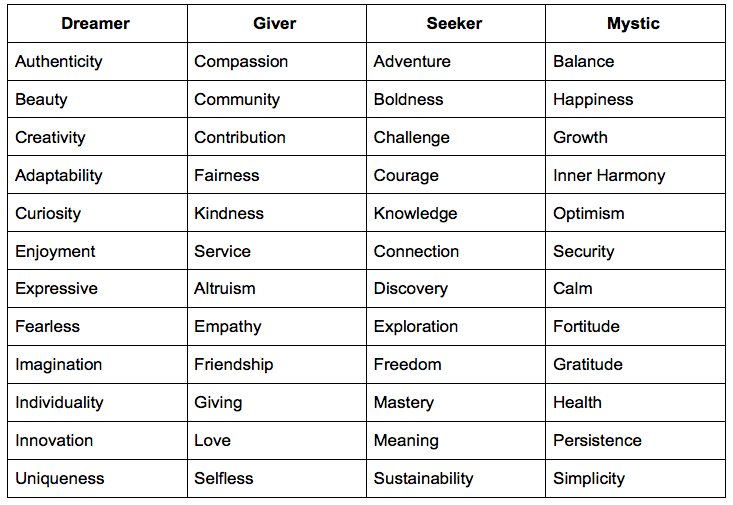 2 other values: mastery and empathy. And lastly, spend some time journaling or reflecting how you can integrate these values into your knitting. Example, continuing with the Mystic Muse. If I value calm, I will be more intentionally to set aside a time and place for me to create. If I appreciate mastery, I will challenge myself to try new techniques, and develop a deeper understanding of my craft. If I value simplicity, I will be more thoughtful in my pattern purchases and chose ones that allow for everyday wear + easy styling. There is no right or wrong answer to this exercise. The point of this is to start engaging better with our craft, to be more mindful and most importantly, be more intentional. Once we know what we value the most, our mindset will start to shift and then begin to dictate our actions. How can your knitting be a reflection of said values? There is a good chance that the answers to these questions will have changed. Why? Because you’re a human being, and part of the human experience is to grow and to learn. So will your purpose and your values. What are your values? 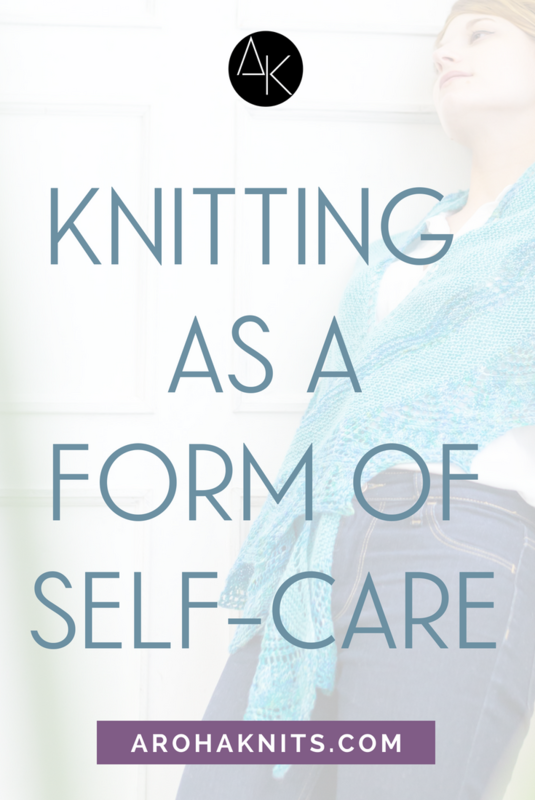 How do you use knitting to express them? Please share below! In my last post, I encouraged you to take the time you need to take care of yourself. I realized, though, that it might be nice to have a little reminder to take with you! 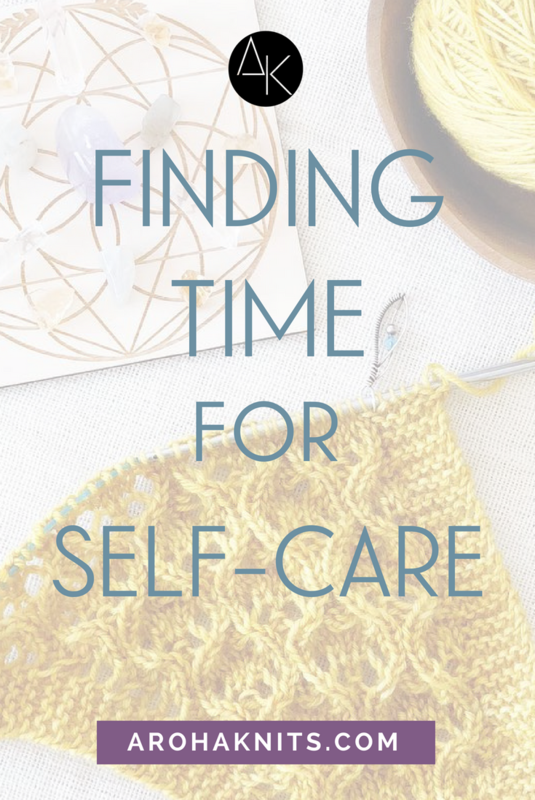 That’s why, at the end of this post, you’ll find a FREE download: a list of suggested ideas for self-care, and a permission slip to remind you to make self-care a priority. You don’t need my permission; you have it within you. But sometimes it’s nice to be reminded. If that’s how you’re feeling, I can sympathize! We’ve all been there, when it seems like we’re stretched to our limits. So here are a few tips to help you find the time you thought you didn’t have. The goal here isn’t that you fill every minute of every day with something to do, but rather that you open yourself up to the possibility that you CAN take care of yourself and still meet your obligations. That you CAN make time for yourself, even when it seems like you shouldn’t. That you DO deserve to give yourself the time and space to breathe. I don’t know about you, but the more exhausted I get this time of the year, the more likely I am to hit the snooze button on my alarm clock. The end result is that I’m often just lying there in bed, dreading the next round of beeping or music, for about 15 minutes a day. If you’re in a similar situation, try to give yourself those 15 minutes to do something really enjoyable and indulgent, like making a special breakfast or applying a skin-care mask. I bet you’ll look forward to getting up on the first alarm after that. Movement is energizing; it helps get the blood - and the creative juices - flowing. If you have a schedule that keeps you seated for most of your day, one simple change can make a big impact: stand up more often. If you work at a desk, get a standing desk or even just set your laptop on a stack of books to help get it to standing height. Or, work for 45 minutes and then stand up and stretch for 5. Take a lap around the office at lunch before you sit down to eat. Take the stairs instead of the elevator. Though at first you may have to force yourself (begrudgingly) into this new routine, you’ll soon start to feel the positive effects, which will be all the motivation you need to keep going. We all know that staring at a screen all day is bad for our health, but does that actually cause us to put down the phone, turn off the laptop or TV, or just unplug from technology in general? Probably not! It’s just so tempting to pick up that device when we’re bored. What if, instead, you picked up yarn and needles? You’d have a new pair of socks in no time, and your brain would have been able to use that time to sort through worries and ease away stress. It’s a win-win! Want some more inspiration? Download this FREE checklist of quick and easy self-care tips, with a bonus permission slip to remind you to schedule them into your routine! 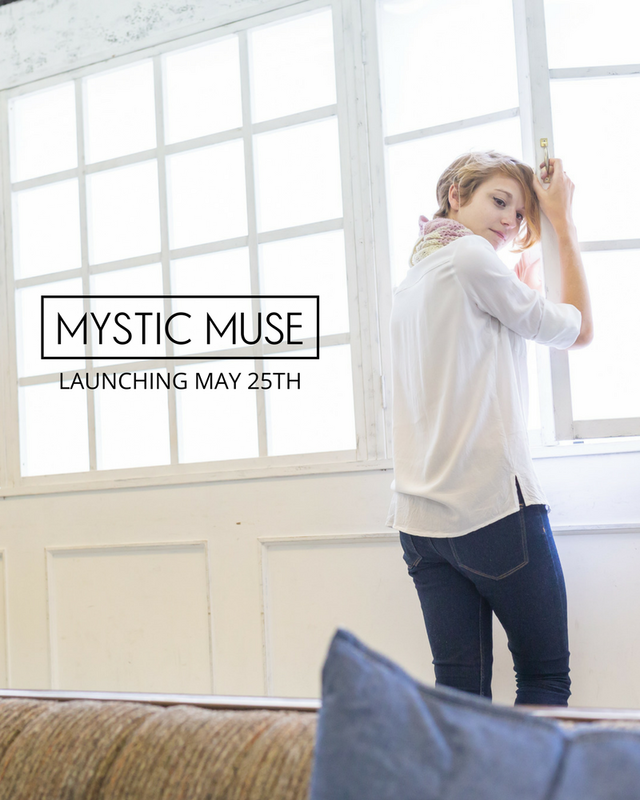 And don’t forget, the Mystic Issue of the Fibre Muse Quarterly will be live on May 25! Between now and then, you can save $5 on this collection if you click here to pre-order. This blog post was inspired by “The Cost of Knitting Patterns” by Thread and Ladle and Hanna Lisa’s posts on Price Transparency. Definitely take a moment to read through them as they offer unique and valuable perspectives on this topic! First of all, yes, there are definitely paid-for patterns that have not gone through the proper channels of editing and testing, resulting in a sub-par product. So designers, new and veteran, please take the time to at least get your patterns looked over by another set of eyes. Shoddy products only hurt our industry and the work of designers who do put in the time, effort and money into ensuring that their work is ready for publication. If you’re a new or aspiring designer and you want to make sure your pattern goes through the correct steps, I offer a course on how to create publish-worthy patterns, SWATCH Studio. You can learn more about it [here]. For the purposes of this post onwards, I will be only referring to patterns published via Aroha Knits or the Fibre Muse (basically, my work). Finding the balance between valuing my work and what the market can bear is a tricky line. And finding the intersection between creating art that I want to make and creating something that my audience will care about is another. Making a sustainable living in this industry is tough, and even more so when one has a team that helps run the business (but it does result in warm fuzzy feelings when your business gets to help contribute to other small businesses by paying them for their work). After much discussion and feedback, while I believe that many of us are undervaluing our work, the solution is NOT to raise prices to what the “true value” of a pattern is. Based on your responses and feedback on my social media posts, it seems like the sweet spot for digital patterns if $5-$10, depending on the type of design. I agree with that and feels good to me, so you won’t see my patterns exceed that amount. So what is the solution? Or a solution? I believe that it is solely the responsibility of the designer to communicate to their audience why their pattern matters and how it can benefit them. Sure, it’s nice that I designed a pattern and published it, but why should you care? Why should you choose this pattern over the thousands like this one? The reality is, just because I put in hours and hours of time and effort to make something pretty, still doesn’t mean you owe me a cent. If anything, it’s me who owes you. I owe you a well-written, clear, complete and concise pattern, that has been edited and tested beforehand. I owe you a pattern that provides an enjoyable, engaging and relaxing knitting experience. I owe you a pattern where all your questions and objections have been anticipated beforehand. How do you do this stitch? Video tutorial is already at your fingertips. I like both written and charted instructions. Already there. I like to measure my progress throughout and make sure I’m on track. You like stitch count tables? Has this been tech edited and tested? I can provide you some numbers. I owe you a pattern that you give a damn about. How will this pattern help you make an impact in the world? If you’re going to spend $5-$10 on my pattern, I owe you the best of my work. It’s only by your support and contribution that Aroha Knits is going into its fourth year. I definitely work hard to make sure my patterns are accessible and communicate their value, but because of YOU I’m able to continue my passion. That's why I pour so much time, energy and money into my pattern production, because you are worth it. (And for new/aspiring designers, here’s a tip for you! Get your patterns edited and tested. Put out one or two patterns for free so people can get a sampling of your work. And if you want to be extra generous, set up an initiative in your brand to gift your work to those who can’t afford to purchase patterns). Want to win the "Rainbow Top" kit? Entering is easy. First, follow Yarn Love on Instagram. 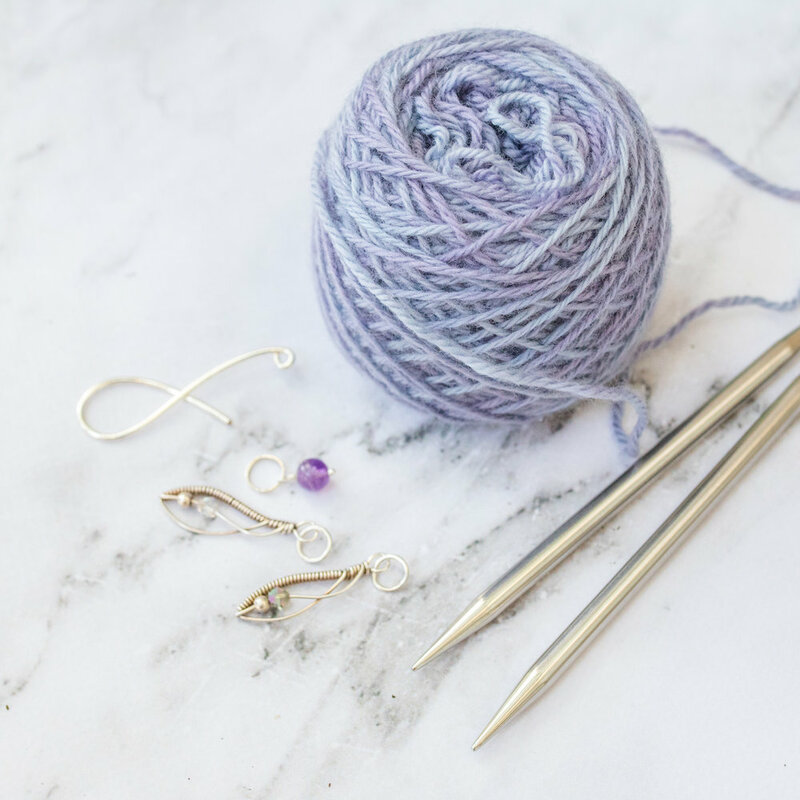 Next, leave a comment with your Rav ID below answering the question "When did you learn to knit?" Giveaway is open until May 18, 2018 at 11:59pm. The winner will be announced along with the release of the Rainbow Top next week! It’s springtime, and for some reason, it seems to be a time of the year when we as a human race decide to compete with one another to see who can be the busiest. Whether you’re getting ready to wrap up a quarter at work, or you’ve got school-related obligations for yourself or your children, or you just feel the pull of spring cleaning and gardening -- it’s a time of craziness and chaos for so many of us. This is the time when we often put aside our knitting. It’s the first thing to go when the calendar starts to fill, because there just isn’t time for everything. Might as well cut out the “frivolous” hobby of knitting in order to cram in a few more appointments and engagements, right? Except, then we start to feel differently. Depleted. Deflated. We start to cut corners in other places, too, like eating healthy (who has time to chop all those vegetables?) and exercising (no time for a run, we’re too busy running around! ), and nurturing relationships (we can’t find time on ONE calendar, let alone two, to get together). If you’ve already started to feel the weight of all the hustling and bustling, I’m here to give you a big dose of permission: to pare down. To back off. To say NO. To say, “enough is enough!” To take the time to do something that feels selfish, because you know what? You deserve it! You can’t take care of all these other people in your life if you run yourself ragged in the process. You can’t be your best self if you haven’t taken the time to nurture your spirit. You can’t be creative if you haven’t recharged your batteries. I know you, knitters of the world. I know that you care deeply about other people, and the world around you. I know you’re working hard to transform that world, and to be your best self. Which is why I also know, without a doubt, that you deserve some peace. I encourage you to take the time for your knitting, now more than ever. Maybe it isn’t convenient, or easy, but it’s so very necessary. Knitting is a way of giving yourself the time to relax, to do something creative, to think through your problems and release them, stitch by stitch. When life starts to fill up your To Do list, take a step back. Add a line for self-care. Give yourself some time, before you give it all away. You deserve this. You are worth it. You have permission. What will you knit next? Need some extra inspiration? 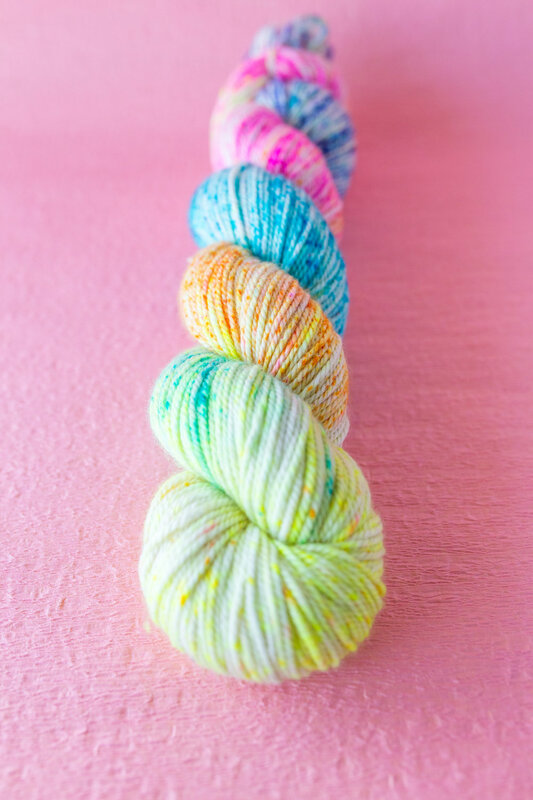 The Mystic issue of the Fibre Muse Quarterly releases May 25, and it’s full of patterns, featurettes, and articles to inspire you to take the time for knitting as a form of self-care! Click here to preorder the issue and get $5 off!